In 2020, new regulations on the reduction of marine fuel sulphur will come into force with significant implications for the global shipping industry. 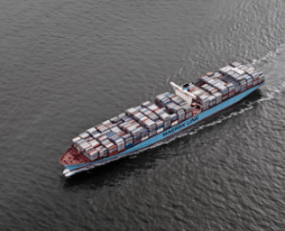 The regulations were drawn up and agreed in 2016 by the International Maritime Organization (IMO), a United Nations agency with responsibility for the safety and security of shipping and the prevention of marine and atmospheric pollution by ships. The regulations will cap the sulphur content of bunker fuels at 0.5% m/m (mass by mass), a reduction from the present limit of 3.5% m/m. Where emissions caps are already in place in specific geographical areas, referred to as Emission Control Areas (ECAs), these will remain at a content of 0.1% m/m. ECAs cover the Baltic Sea; the North Sea and designated coastal areas off the United States and Canada. In ECAs, surveys have found that the lighter, compliant fuels have a sulphur content of 0.11% m/m compared with non-ECA heavy bunker fuels whose content is around 2.45%. According to energy company, Shell, 3m barrels per day of High Sulphur Fuel Oil (HSFO) will need to be replaced by low sulphur alternatives. What are the choices for shipping? There are several options for shipowners. One of these is to make the change to distilled, lighter but higher cost fuels. However, there is also the option to retrofit ‘scrubbers’ to existing ships which would reduce the emissions of HSFOs. As the price of HSFO is likely to fall due to lower demand this could be a reasonably quick and cost-effective option. Alternatively, shipowners could retrofit or buy new Liquid Natural Gas (LNG) powered ships which have the advantage of having proven technologies and growing availability. Although the regulations have been drawn up by the IMO, they have little power in enforcing them. Administration will be down to the country under which each vessel is flagged. They will issue International Air Pollution Prevention (IAPP) certificates and Ports and Coastal States will enforce compliance of each ship. This may involve using surveillance techniques, monitoring plumes of exhaust smoke for instance. Of course, there is the risk that many shipping lines ignore the regulations, especially outside of the better administered ECAs. Some shipping lines serving developing regions may take their chances, given that a sanction regime has not yet been formulated and will be difficult to impose. Although the regulations have been welcomed by most in the industry, there are inevitable cost implications. These are due to the higher production costs involved in the low sulphur alternative as well as the need to blend this premium fuel with expensive Gasoil/Diesel. Financial analysts at investment bank, Bernstein, believe that there could be 40-50% price rises on 80% of the fuel consumed. This would likely result in shipping companies looking to increase efficiencies (larger ships) and cost decreases (slow steaming). Longer transit times will inevitably impact on shippers’ inventory costs. In total, given a range of mitigation strategies, Bernstein’s analysts believe that an increase in fuel costs of 10-15% would appear to be on the cards, resulting in $20-$25bn in added costs to the global economy. The greater demand for higher quality diesel fuels will also have an indirect impact on jet fuel, although it is unclear to what extent. Of course, the primary losers will be the global shipping lines which will be forced to increase their rates to make up for the rising fuel costs. It seems inevitable that the regulations will impact upon their profit margins as they face push back from their largest clients unwilling to pass the cost onto their customers. However, the significant increase in shipping rates will prove to be a boost to air cargo and to overland modes. The cost differential between these higher priced modes and shipping will decrease despite the possible knock on impact due to greater competition for higher grade fuels. This could result in changes in routing decisions by shippers. For example, shipments from Asia to the East Coast of the US, transiting the Panama Canal, may instead be transhipped on the West Coast and finish their journey by rail. Rail services from China to Europe may also receive a boost. 2020 Deadline – or maybe not? Of course, these scenarios rely on there being enough compliant fuel available to power the ships. Some surveys have found that ship owners are doubtful over whether the regulations will be applied on the deadline of January 1, 2020, just because refineries don’t have the capacity to produce sufficient fuel. This may mean that shipping lines have more time to implement the changes required to meet the legislative requirements and that increases in fuel costs are phased in over a period months of even years during a transition period.